The focus of this article is the rationale for use of a modality and its safety considerations. Contraindications, precautions, risks, and safety considerations are oulined in detail by Houghton et al. (2010) . Clinical indications, application parameters, and equipement maintenance are not included. 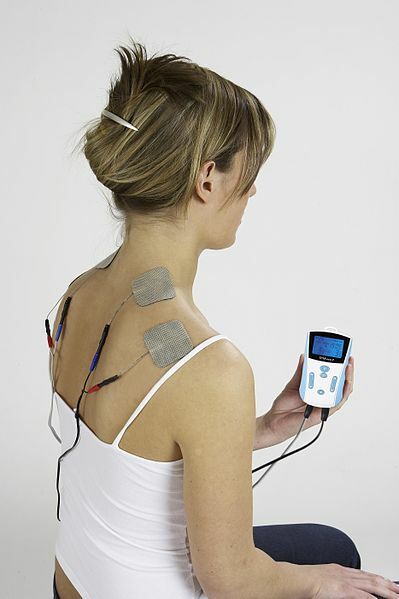 Thermotherapy and cryotherapy, the application of therapeutic heat and cold, are referred to as conductive modalities - they utilize the conduction of thermal energy to produce a local and occasionally a generalized heating or cooling of superficial tissues with a maximum depth of penetration of 1 cm or less . Increasing local tissue temperature accelerated the healing process by dilating blood vessels and shifting the oxy-hemoglobin dissociation curve to increase the oxygen and nutrient supply to the tissue , as well as stimulating fibroblast proliferation , accelerating endothelial cell proliferation , and improved phagocytic activity of inflammatory cells . Heat is believed to have a relaxing effect on muscle tone by reducing muscle spindle and gamma efferent firing rates; there is also the theory that relaxation of muscle is assumed to occur with the disappearance of pain . Restriction of local blood flow reduces the potential for edema to develop. Slower metabolism releases fewer inflammatory mediators, reduces edema formation and decreases oxygen demand of tissues to minimize their chances of further injury from ischemia  . Cold decreases local neural activity, appears to raise the threshold stimulus of muscle spindles and depresses the excitability of free nerve endings, resulting in an increased pain threshold and reduced muscle spasm  . Ultrasound utilizes sound energy, pressure waves created by the mechanical vibration of particles through a medium. The flow of ultrasound may be delivered as an uninterrupted stream (continuous mode) or delivered with periodic interruptions (pulsed mode). Ultrasound is classified as a deep heating modality capable of producing a temperature increase in tissues of considerable depth because it travels very well through homogenous tissue (e.g. fat tissue)  . Traditionally it has been used for its thermal effects but it is capable of enhancing healing at the cellular level. Continuous ultrasound is most commonly used when thermal effects are desired but non-thermal effects will also occur . It has been shown to alter all phases of tissue repair: stimulates phagocytic activity of inflammatory cells such as macrophages , and promotes release of chemical mediators from inflammatory cells which attract and activate fibroblasts to the site of injury, stimulates and optimizes collagen production, organization and ultimately functional strength of scar tissue . An examination of research studies to assess changes in blow flow with ultrasound produced inconclusive results; however, recent studies show that nitric oxide released by ultrasound therapy may be a potent stimulator of new blood vessel growth at the site of injury . Ultrasound also aids in pain relief and the literature has proposed reduced conduction of pain transmission as a possible mechnism for the analgesic effects . More recently, low-intensity pulsed ultrasound has been shown to accelerate the rate of healing of fresh fractures due to the enhancement of angiogenic, chondrogenic, and osteogenic activity . Skin disease (local) e.g. psoriasis, eczema, etc. Light Amplification for the Stimulated Emission of Radiation (LASER) utilizes electromagnetic radiant energy, the movement of photons through space. The low-power or cold laser produces little or no thermal effects but seems to have some significant effect on soft-tissue and fracture healing as well as on pain management. Light at the wavelength typically employed in laser therapy is readily absorbed by enzymes, hemoglobin, fibroblasts, and neurologic tissue. Laser has been shown to stimulate cell degranulation causing the release of potent inflammatory mediators such as growth factors , activate phagocytic processes at the site of injury , and activate fibroblast cell function to increase collagen deposition and improve tensile strength . Some reports also show a small decrease in edema produced by inflammation following laser therapy . Absorption by hemoglobin releases nitirc oxide resulting in endothelial cell proliferation and increased microcirculation . Low dosages also result in significantly decreased sensory nerve conduction velocity effect in reducing pain . A prospective study of safety and efficacy of combination therapy with bipolar radiofrequency-based intense pulsed light, infrared light, and diode laser in Chinese subjects with photoaged skin. ↑ Houghton PE, Nussbaum EL, Hoens AM. Electrophysical agents – contraindications and precautions: An evidence-based approach to clinical decision making in physical therapy. Physiother Can. 2012; 62(5): 1-80. ↑ 2.0 2.1 2.2 2.3 2.4 Prentice WE, editor. Therapeutic Modalities in Rehabilitation. 4th ed. New York: McGraw-Hill Medical; 2011. ↑ Rabkin JM, Hunt TK. Local heat increases blood flow and oxygen tension in wounds. Arch Surg. 1987; 122(2): 221-225. ↑ Xia Z, Sato A, Hughes MA, Cherry GW. Stimulation of fibroblast growth in vitro by intermittent radiant warming. Wound Repair Regen. 2001; 8(2): 138-144. ↑ Hughes MA, Tang C, Cherry GW. Effect of intermittent radiant warming on proliferation of human dermal endothelial cells in vitro. J Wound Care. 2003; 12(4): 135-137. ↑ Price P, Bale S, Crook H, Harding KG. The effect of radiant heat dressing on pressure ulcers. J Wound Care. 2000; 9(4): 201-205. ↑ Weston M, Taber C, Casagranda L, Cornwall M. Changes in local blood volume during cold gel pack application to traumatized ankles. J Orthop Sports Phys Ther. 1994; 19(4): 197-199. ↑ McMaster WC. A literary review on ice therapy in injuries. Am J Sports Med. 1977; 5(3): 124-126. ↑ Ho SS, Illgen RL, Meyer RW, Torok PJ, Cooper MD, Reider B. Comparison of various icing times in decreasing bone metabolism and blood flow in the knee. Am J Sports Med. 1995; 23(1): 74-76. ↑ Merrick MA, Knight KL, Ingersoll CD, Potteiger JA. 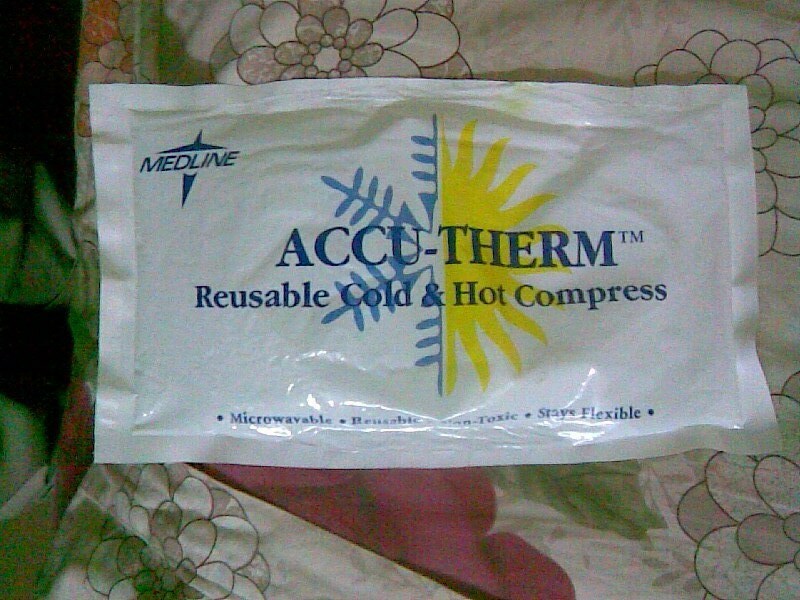 The effects of ice and compression wraps on intramuscular temperatures at various depths. J Athl Train. 1993; 28(3): 236-245. ↑ Draper D, Sunderland S. Examination of the law of grotthus-draper: Does ultrasound penetrate subcutaneous fat in humans? J Athletic Train. 1993; 28(3): 248-250. ↑ Draper DO, Castel JC, Castel D. Rate of temperature increase in human muscle during 1 MHz and 3 MHz continuous ultrasound. J Orthop Sports Phys Ther. 1995; 22: 142-50. ↑ Partridge CJ. Electrotherapy – foreword. Physiotherapy. 1990; 76(10): 593-600. ↑ Crowell JA, Kusserow BK, Nyborg WL. Functional changes in white blood cells after microsonation. Ultrasound Med Biol. 1997; 3(2): 185-190. ↑ De Deyne PG, Kirsch-Volders M. In vitro effects of therapeutic ultrasound on the nucleus of human fibroblasts. Phys Ther. 1995; 75(7): 629-634. ↑ Rubin MJ, Etchison MR, Condra KA, Franklin TD, Snoddy AM. Acute effects of ultrasound on skeletal muscle oxygen tension, blood flow and capillary density. J Med Biol. 1990; 16: 271-277. ↑ Srbely JZ, Dickey JP. Randomized controlled study of the antinociceptive effect of ultrasound on trigger point sensitivity: Novel applications in myofascial therapy? Clin Rehabil. 2007; 21(5): 411-417. ↑ Rubin C, Bolander M, Ryaby JP, Hadjiargyrou M. The use of low-intensity ultrasound to accelerate the healing of fractures. J Bone Joint Surg. 2001; 83(2): 259-270. ↑ Watson T. Ultrasound in contemporary physiotherapy practice. Ultrasonics. 2008; 48(4): 321-329. ↑ Young S, Bolton P, Dyson M, Harvey W, Diamantopoulos C. Macrophage responsiveness to light therapy. Lasers Surg Med. 1989; 9(5): 497-505. ↑ Karu TI, Ryabykh TP, Fedoseyeva GE, Puchkova NI. Helium-neon laser-induced respiratory burst of phagocytic cells. Lasers Surg Med. 1989; 9(6): 585-588. ↑ Kesava Reddy G, Stehno-Bittel L, Enwemeka CS. Laser photostimulation of collagen production in healing rabbit Achilles tendons. Lasers Surg Med. 1998; 22(5): 281-287. ↑ Honmura A, Yanase M, Obata J, Haruki E. Therapeutic effect of Ga-Al-As diode laser irradiation on experimentally induced inflammation in rats. Lasers Surg Med. 1992; 12(4): 441-449. ↑ Burke TJ. 5 questions – and answers – about MIRE treatment. Adv Skin Wound Care. 2003; 16(7): 369-371. ↑ Snyder-Mackler L, Bork CE. Effect of helium-neon laser irradiation on peripheral sensory nerve latency. Phys Ther. 1988; 68(2): 223-225.